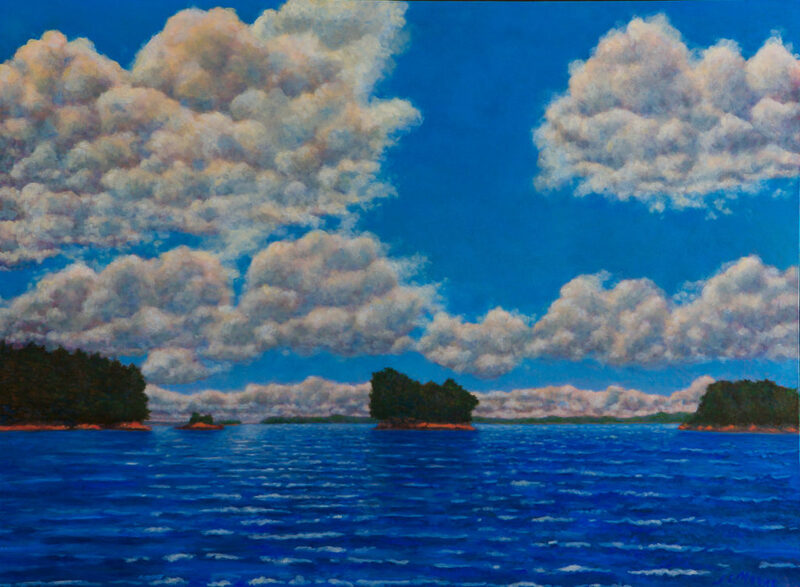 I paint to create a body of work that reflects my own visual, social, and cultural history, and speaks of having grown up in Maine at the turn of the century. I’m examining our transformation as a culture away from an industrial way of life, and what that means for our physical landscapes; our backdrops. I concentrate on the pattern, texture, and logic of these physical places as they evolve, and the patina that occurs from disuse, alternate use, and nature’s slow reclamation. I think of quilts and dioramas as I compose and execute these paintings that say something about us collectively as we shift and evolve in our ways of being useful. I examine the impact of obsolescence, both individually and collectively. In this, I am always considering what can be beautiful, and how the finished piece tells a truth about us that straightforward documentation cannot. I have been concurrently exploring the pursuit of art as a healing mechanism; creating works that provide a portal for respite and escape, using formulaic solutions for what can be healing in art, through light, color, scale, and subject. This seems a valuable and useful place for art that has the ability to transport us, no matter how briefly. Janice L. Moore was born in Canada and grew up in Maine. She graduated from Waynflete School (Portland, ME), and Sarah Lawrence College, where she focused on painting and photography. She continued her art education in France; first in Provence, then Paris. 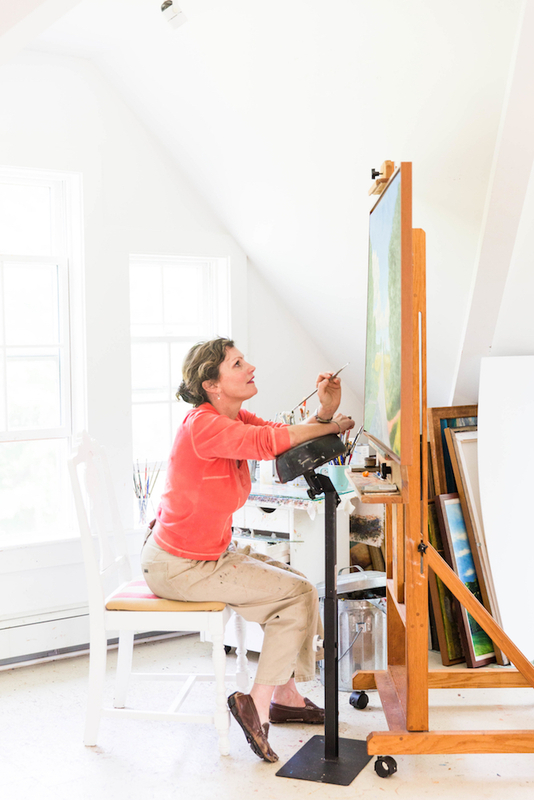 After 12 years in New York, she returned to Maine to paint full-time. 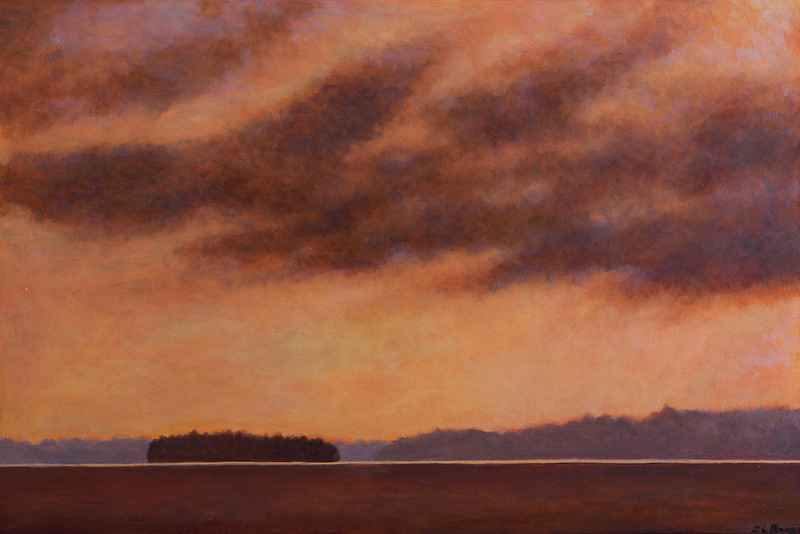 Moore has shown her work in traditional gallery settings, and has a particular interest showing in places of healing, as she did at Maine Medical Center. She continues her ongoing exploration of our industrial landscapes, and what the architecture of our usefulness looks like. Moore examines some of the industries that have helped define us, including the Rumford Paper Mill, the Hood and the B & M plants in Portland, Maine. 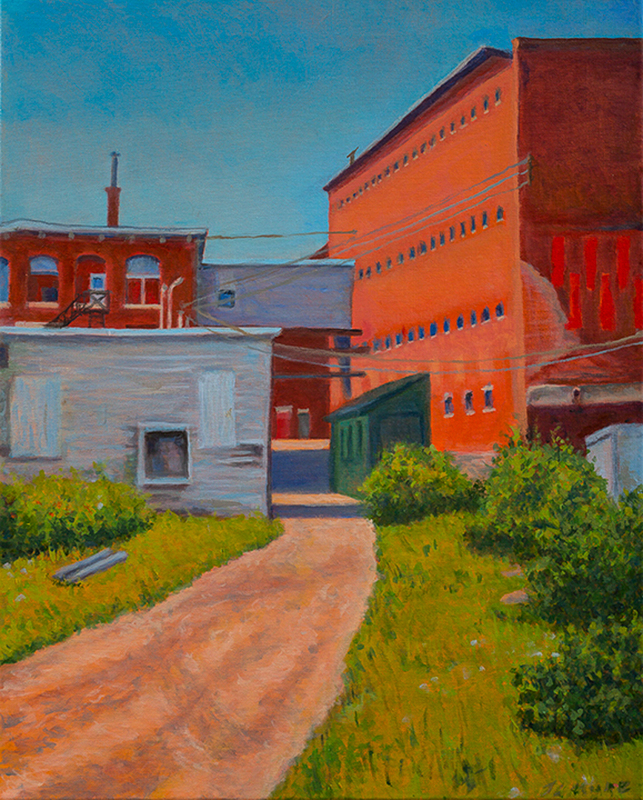 She is currently working on a series of the many Lewiston factories in their various states of use. She works from her studio in Freeport, Maine.